An HCG calculator can tell you whether your blood HCG levels are increasing as they should during the beginning of your pregnancy. HCG, human chorionic gonadotropin, is the hormone made by the placenta soon after the fertilized egg implants. For the first few weeks of pregnancy, this hormone should more than double every two days. Around the beginning of the second trimester, HCG levels usually level out and remain that way for the duration of the pregnancy. When you are pregnant, your HCG level is at least 25 mIU/ml. When you are not, the level is less than 5 mIU/ml. HCG calculators ask you to enter your first HCG level, how many days past ovulation you are (this step isn't necessary but it is helpful), your second HCG level, and how many days you waited between those tests. Once those are entered, you will get feedback as to whether the increase is adequate. In some cases, the HCG calculator includes a chart that allows you to monitor the increase and how it compares to low, average, and high levels. You'll need a blood test to determine what exactly your HCG level is. Since HCG calculators need two numbers, you'll have to get those from your doctor. 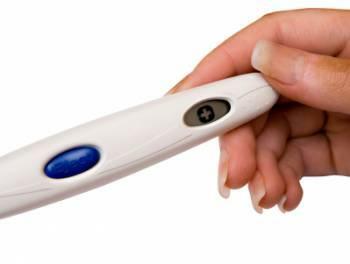 Pregnancy tests do tell you if the hormone is present in your urine at a high enough level to mean you're pregnant, but they don't tell you just how high your HCG level is. So while you'll know you're pregnant, you won't be able to chart the progression of your doubling levels without a doctor's assistance. Unless you have a high-risk pregnancy or seem to have a problem, they may not routinely check your HCG. If you visit the Just Mommies HCG calculator, you'll get a quick and easy look at how rapidly your HCG level is shifting. Simply enter in your first and second HCG levels along with how long you waited between tests. You'll get information as to how many hours and days it takes for your level to double. Don't put too much weight on your HCG levels. An ultrasound will reveal more reliable information about the pregnancy. Women can have different HCG levels woth varying rates of increase, all with perfectly normal, healthy pregnancies. However, if you are concerned, speak with your doctor for further investigation. The HCG calculator is an interesting tool used to chart the increasing levels of the HCG hormone. It can be used as an indicator for many things, from an ectopic pregnancy to multiples, but remember that the numbers fluctuate from woman to woman and that you can always contact your doctor for an evaluation.